From reindeer hot dogs in Alaska to Pennsylvanian scrapple, here are some of the country's most unusual regional foods. 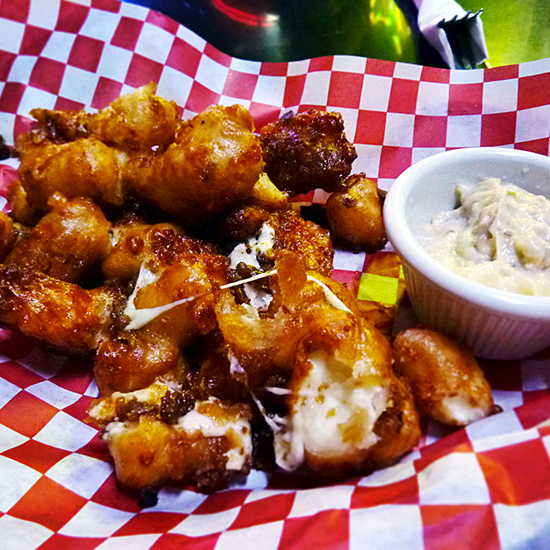 Fresh cheese curds and gravy smothering fries are a quintessential part of Canadian culture, but across the border, cheese curds can often be found covered in batter and deep-fried. The Original Deep Fried Cheese Curd stand is among the most popular each year at the Minnesota State Fair. 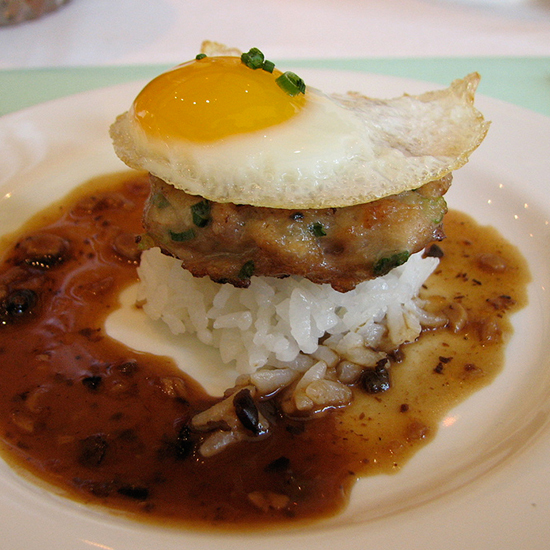 One of Hawaii's most popular comfort foods, the loco moco consists of white rice topped with a hamburger patty, a fried egg and brown gravy. 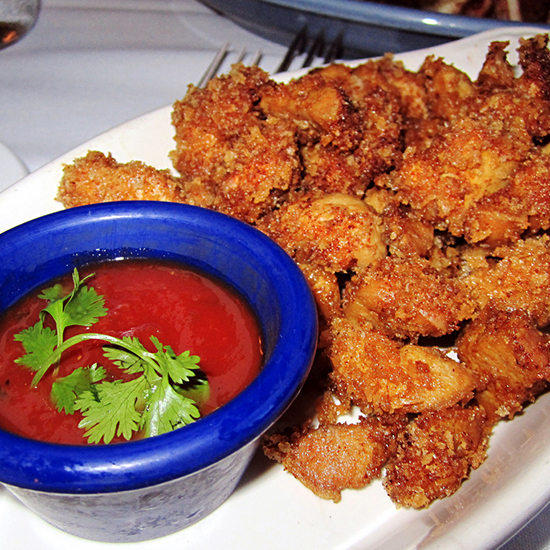 The dish debuted in 1949 at Lincoln Grill in Hilo, where it was served for 25 cents. Lincoln Grill has since shuttered, but chef Sam Choy offers a stellar traditional version at his Kai Lanai restaurant on the Big Island. 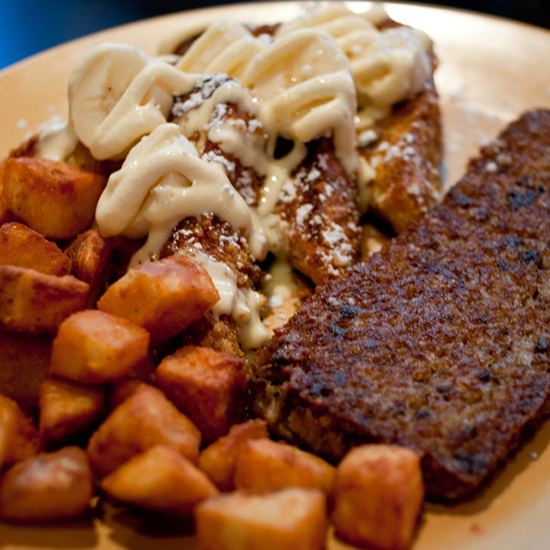 Referred to as "Cincinnati caviar," this scrapple-like breakfast sausage originated as a way for German immigrants to save money and extend ground pork or beef by adding steel-cut oats. The meat-oat mixture is shaped into a loaf, then sliced off as needed and fried in pork fat until brown and crispy at the edges. 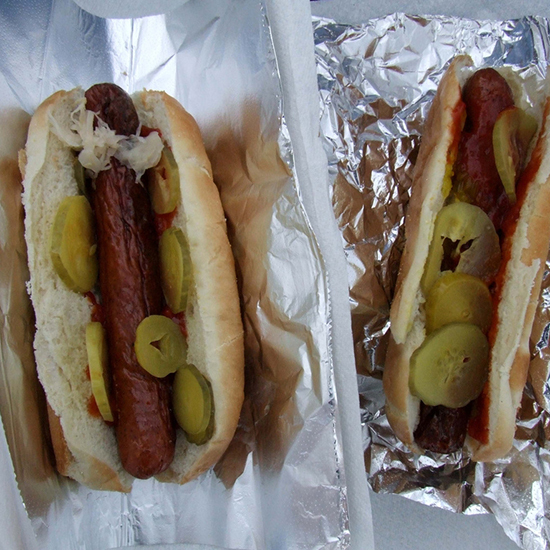 Mike Anderson of M.A.’s Gourmet Dogs in Anchorage has served this popular street food made with Alaskan caribou (aka reindeer) for 20 years, topping the grilled franks with Coca-Cola-caramelized onions. Reindeer is sold in most Alaskan supermarkets, but for the rest of the US, Alaska Sausage and Seafood ships smoked reindeer sausage, spiced with coriander and white pepper. The leathery siphon protruding from the six-inch shell of this odd-looking deep-water clam can reach up to three feet in length. Geoduck (pronounced goo-ee-duck) hail from the coasts of Washington State and British Columbia, typically weigh about three pounds and can live to be 100 years old. At Shiro's Sushi Restaurant in Seattle, sushi master Shiro Kashiba thinly slices the sweet, chewy siphon and serves it as sashimi; the tender body meat is sautéed in butter with shiitake mushrooms and asparagus. At the controversial annual World's Largest Rattlesnake Roundup held in Sweetwater, Texas, the venomous reptiles are captured from the surrounding desert and brought to the Nolan County Coliseum, where they are skinned, battered and deep-fried. Cajun chef Paul Prudhomme claims he invented this over-the-top dish of a chicken stuffed inside of a duck stuffed inside of a turkey—with all the bones removed so it slices like a multiringed poultry loaf. 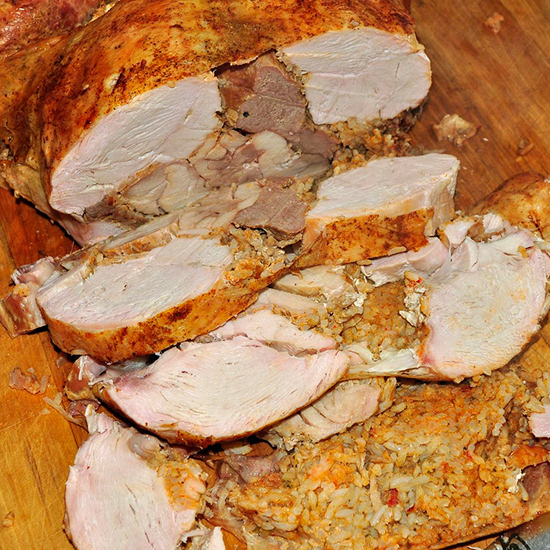 He first published a turducken recipe in The Prudhomme Family Cookbook in 1987, but the dish's national popularity became mainstream 10 years later when NFL commentator John Madden consumed a turducken on air during a New Orleans Saints game. 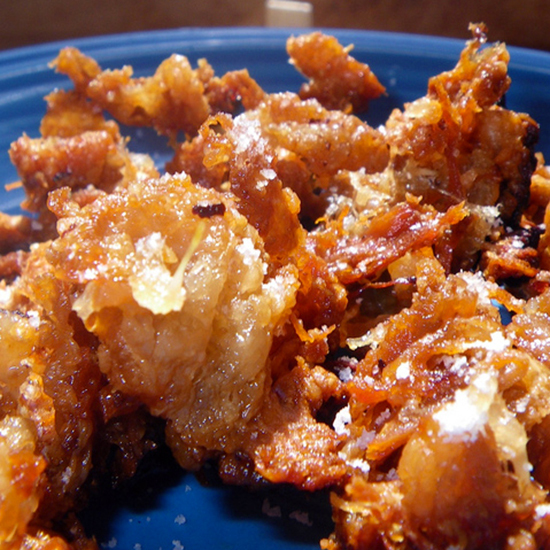 Also known as chitterlings, this traditional soul food dish is made from the small intestines of a pig. After a time-consuming and thorough cleaning, the intestines are slowly simmered until fork-tender, then often breaded and deep-fried—making them almost unrecognizable. 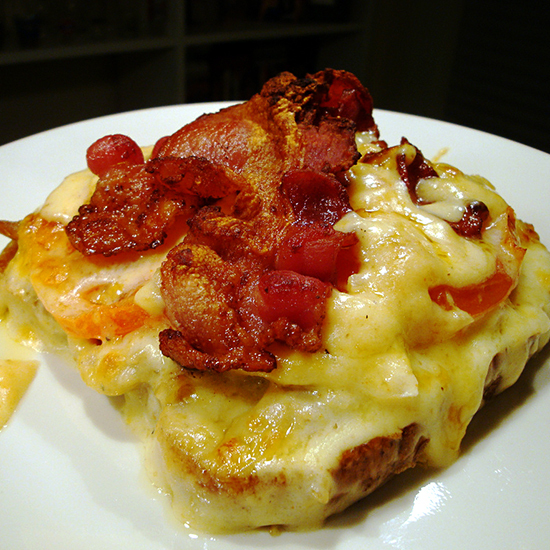 This Velveeta-like processed cheese product made with mild cheddar, Swiss, provolone and liquid smoke was first popularized as a pizza topping by Imo’s Pizza, a Missouri-based chain. 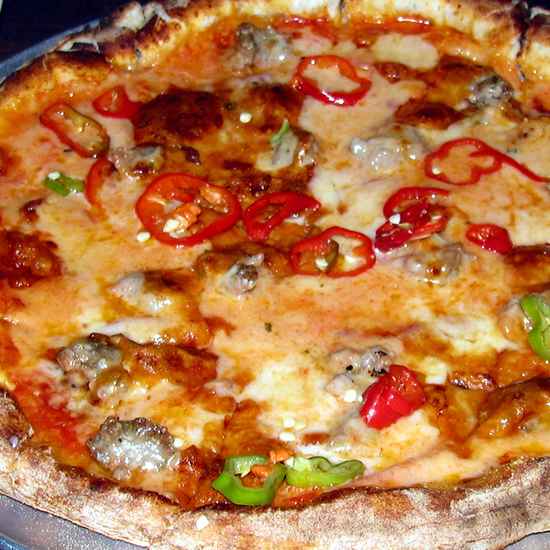 Today, St. Louis-style pizza is characterized by the use of Provel cheese on crispy, thin-crusted square slices. This Southern delicacy is typically slow-cured in a brine of white vinegar, salt and spices and preserved in jars. Eating a pickled pigs foot involves navigating through fat and gristle to find bits of vinegary, hamlike meat. 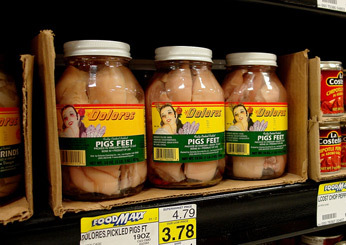 The pickled trotters are sometimes incorporated in rice and bean dishes but most commonly are consumed straight from the jar as a snack with a splash of hot sauce. 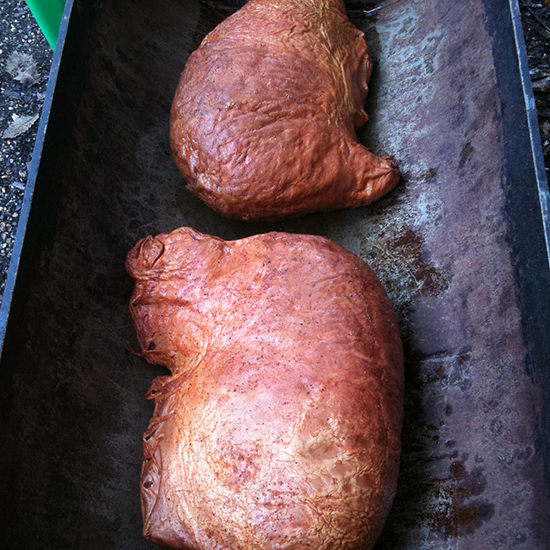 The Pennsylvania Dutch were a resourceful bunch: They came up with this veritable farmhouse pâté as a way to use up the unpopular parts of a pig, including the head, organ meats—and depending on who's cooking, even the skin. The parts are boiled with cornmeal, then pressed and baked in a loaf pan. 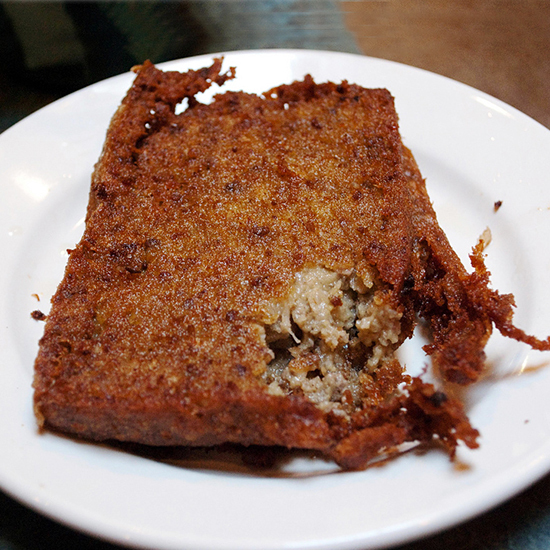 Sliced hot scrapple still has its share of fans, although homemade recipes often call for ground pork while retailers still include various pig parts. 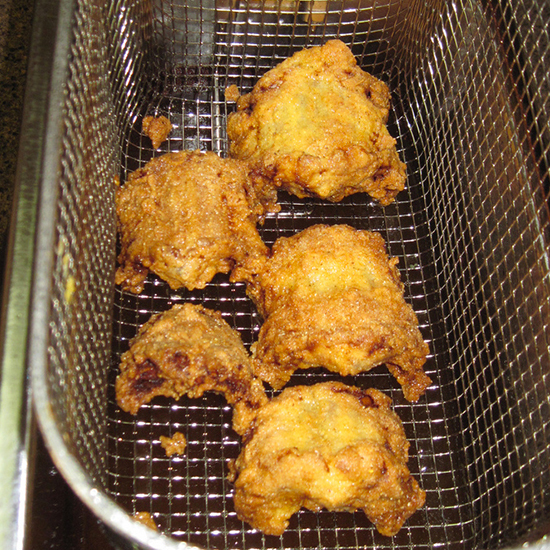 This provocative dish of sliced, battered, deep-fried testicles—usually of the bull or bison—goes by some rather innocuous names, including Rocky Mountain Oysters and Prairie Oysters. Its popularity has spawned an annual festival in Clinton, Montana, the Testy Festy, nearing its 30th year. Essentially an open-face turkey-and bacon sandwich topped with creamy Mornay sauce, this Kentucky classic got its start in the 1920s as a late-night indulgence for revelers at Louisville's Brown Hotel. 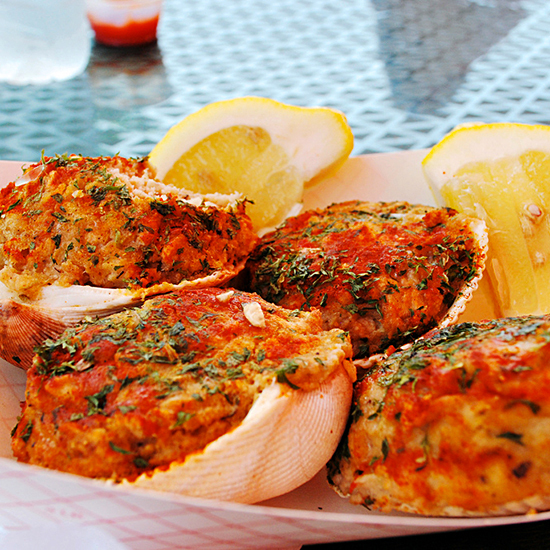 The easiest way to order a stuffed Quahog clam in southern New England—avoiding the “is it QWA-hog or KO-hog” argument—is to ask for a “stuffie,” typically comes piled high with a mixture of chopped clam, sausage, bread crumbs and herbs. 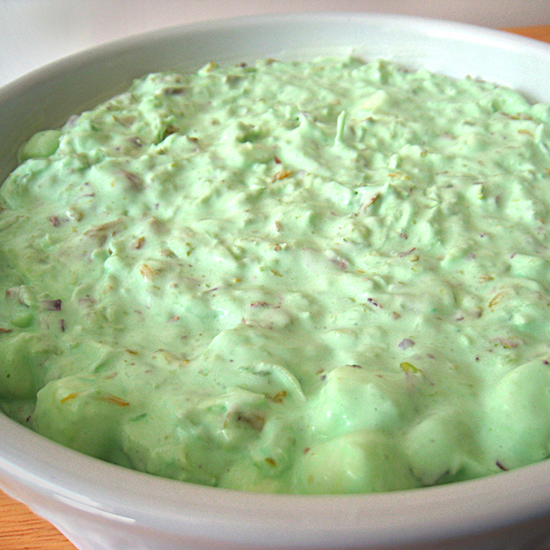 Akutaq, also known as “Eskimo ice cream,” has roots dating back thousands of years among the Alaskan Inuits as a portable snack for hunters on extended trips. 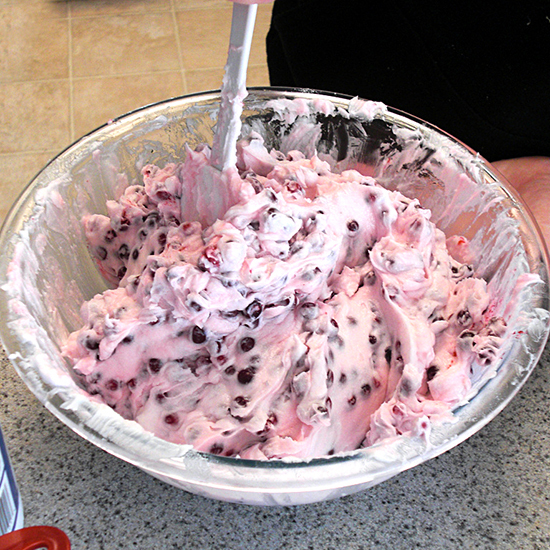 Earlier incarnations usually included fat rendered from a polar bear (preferably the first-caught of the season), mixed with seal oil, berries and snow; its modern version calls for shortening, berries, sugar and water—or snow, when handy. Fritos, the curled corn chips, form the crispy base for this guaranteed-messy casserole topped with chili and cheese. 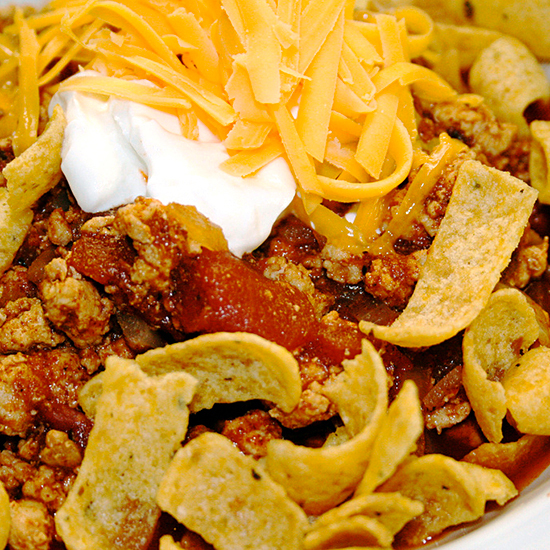 A Frito pie is sometimes referred to as a "walking taco". 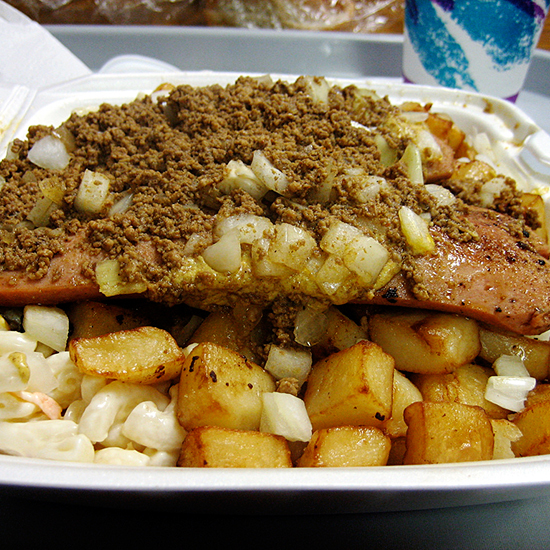 This is couch-potato food at its most slovenly: The Garbage Plate combines macaroni salad and potatoes, topped with some sort of meat (anything from hot dogs and meat patties to sausage and steak), along with mustard and a sprinkling of chopped onions. Some versions weigh up to a hefty three pounds. 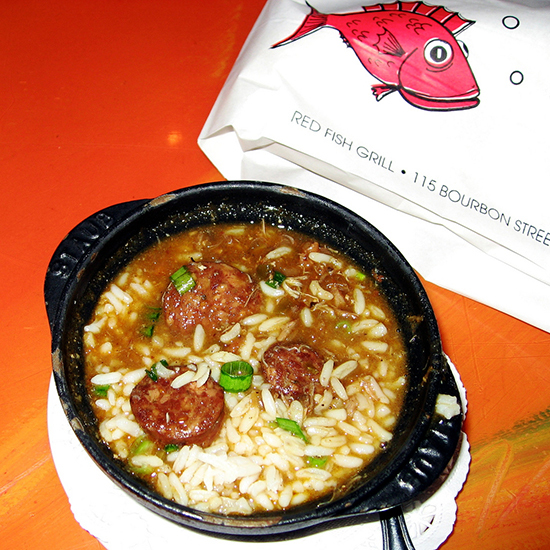 This Cajun specialty—a roasted hog stomach that's been stuffed with a sausage mixture—is typically served sliced, over rice, with what Southerners call Holy Trinity Gravy, prepared with flour, browned onion, bell pepper, celery and garlic.